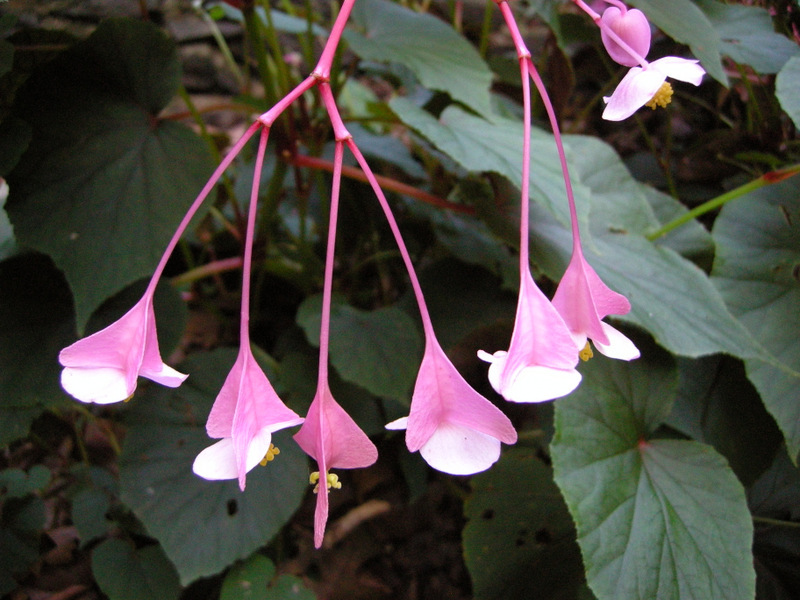 The fall-blooming flowers of hardy begonia, B. grandis. 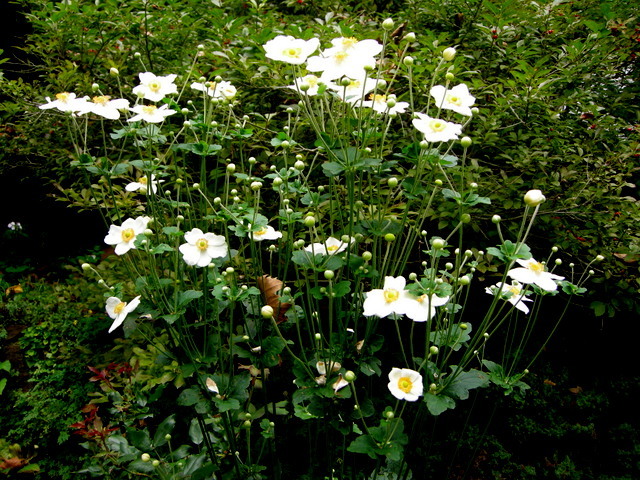 In 1991, I took a perennial plants course at Longwood Gardens in Kennett Square, PA, and was introduced to many wonderful plants that I have since planted in my garden (hellebores being one of them). 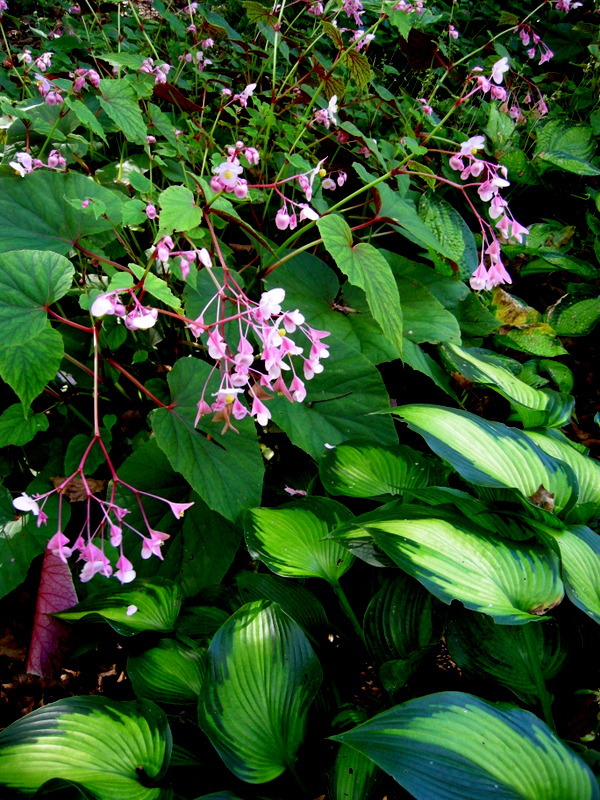 One of the most fascinating was hardy begonia or Begonia grandis. 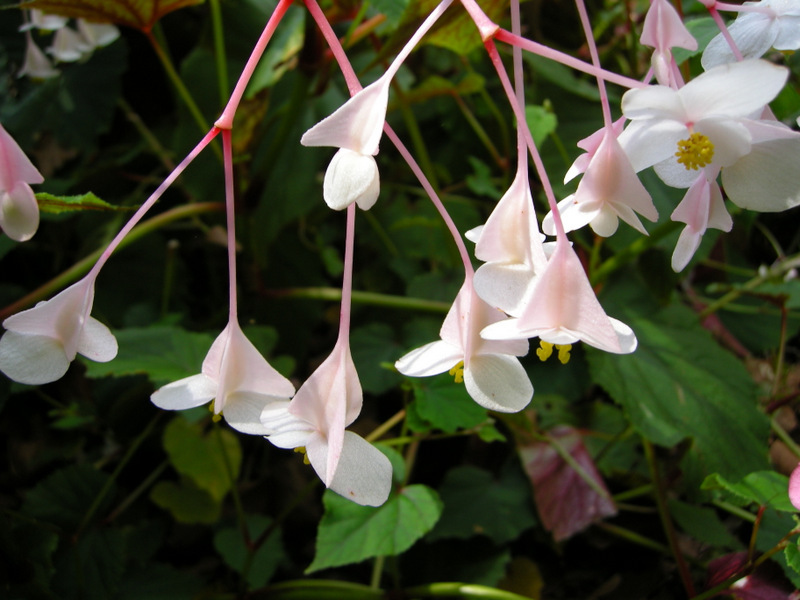 I just couldn’t believe that there was a plant that looked just like my angel wing begonia house plant but grew outside and came back every year. 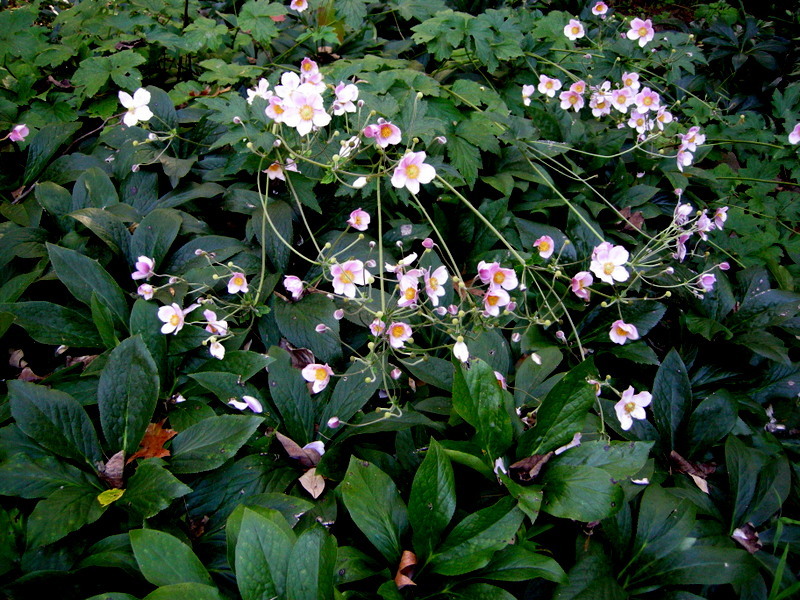 I can’t remember where I finally located a plant, but hardy begonias soon found their way to my garden and have been multiplying and spreading ever since. 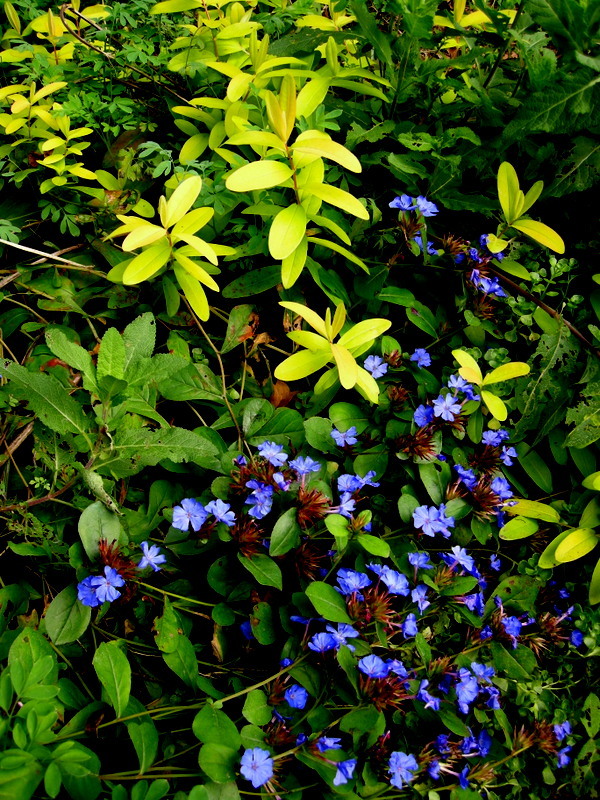 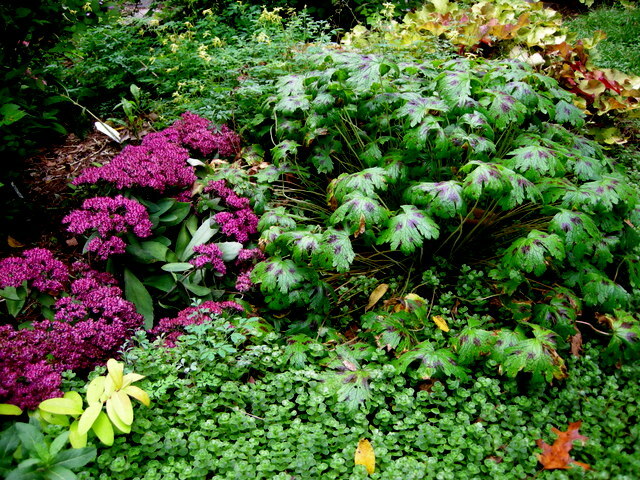 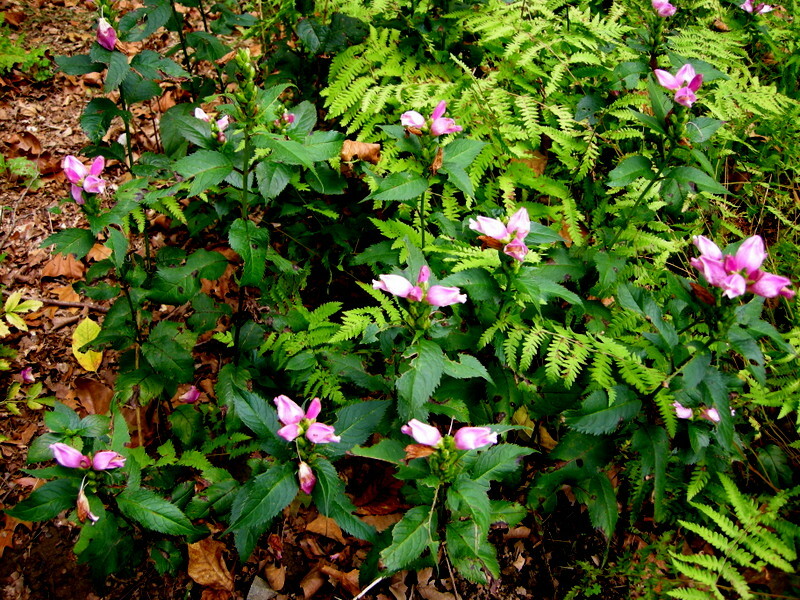 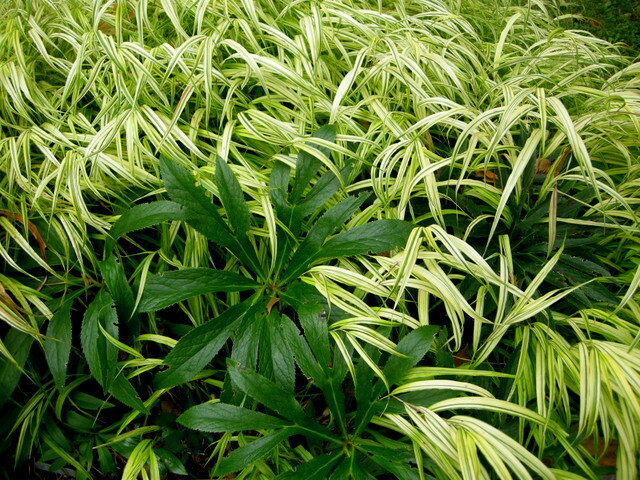 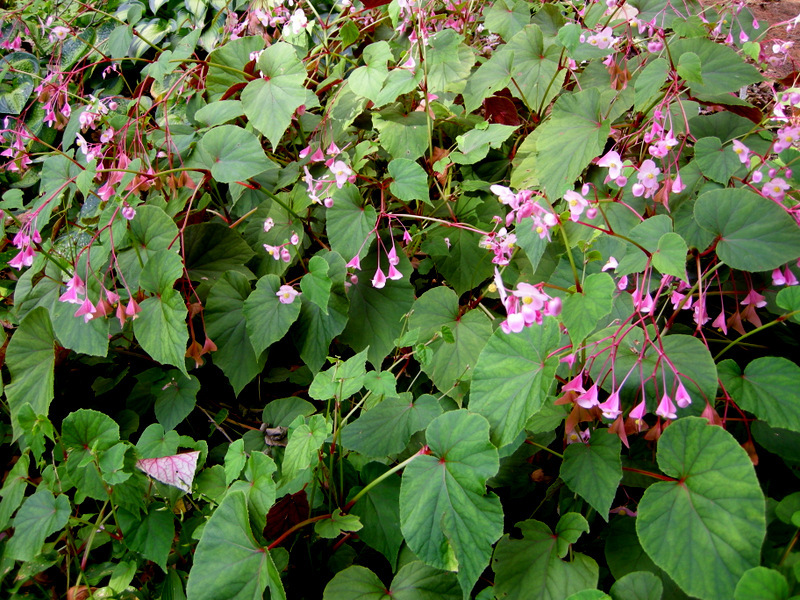 I have noticed that my nursery customers have the same reaction that I did: what is that plant—is an annual? 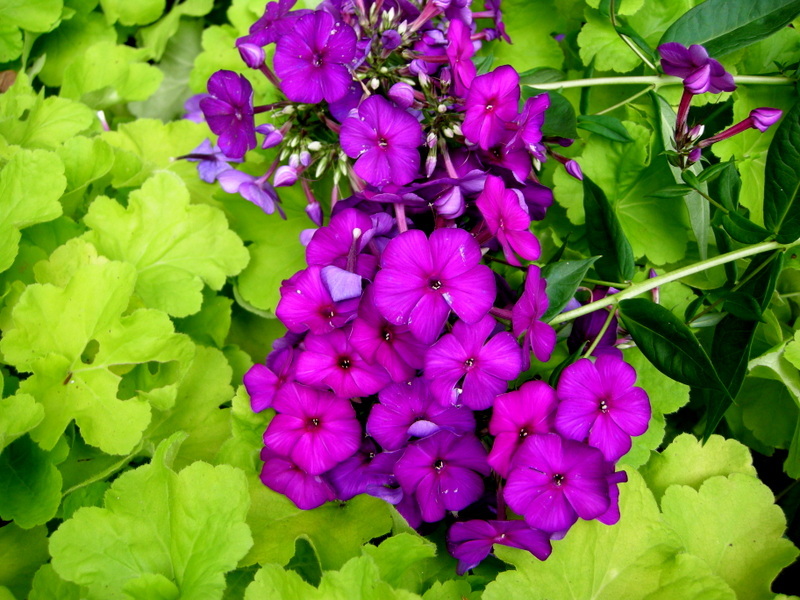 So I thought I would introduce it to all my readers and recommend it for inclusion in your gardens. 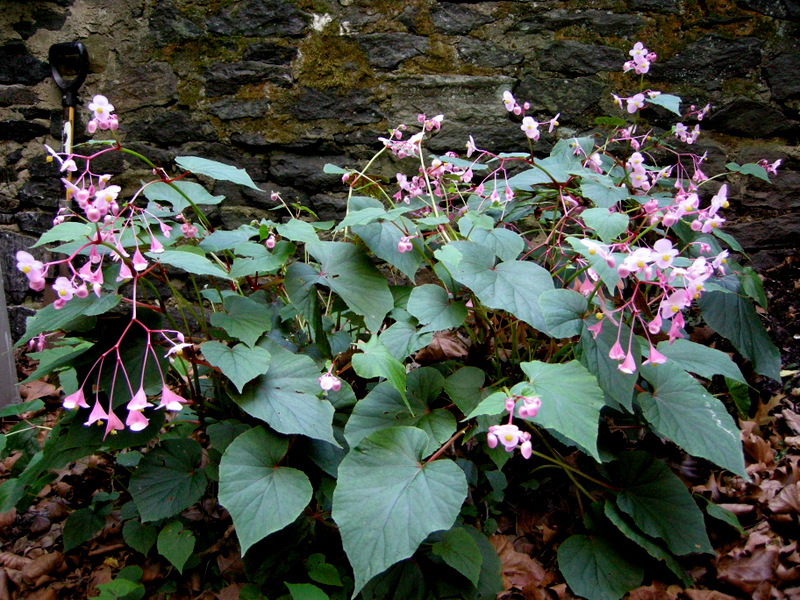 When I say they are like a begonia house plant, I am not kidding. 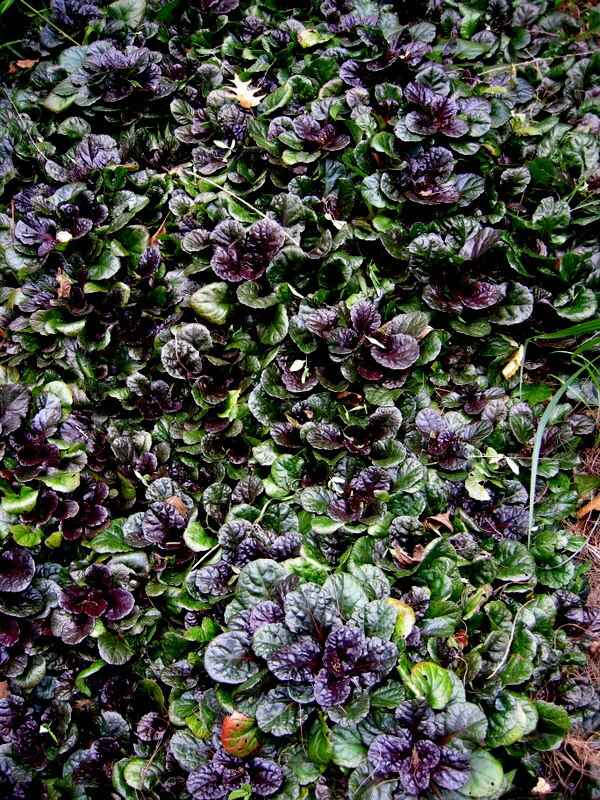 They grow from tuberous roots and have fleshy succulent stems. 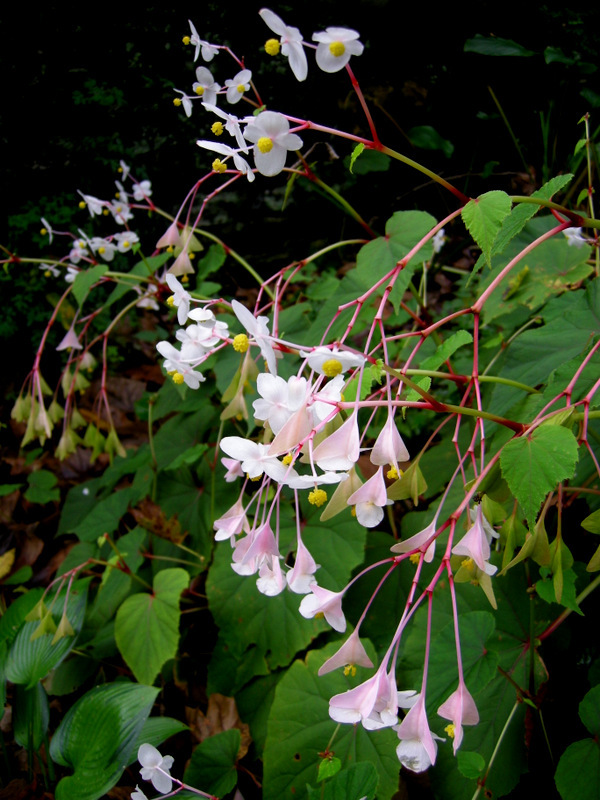 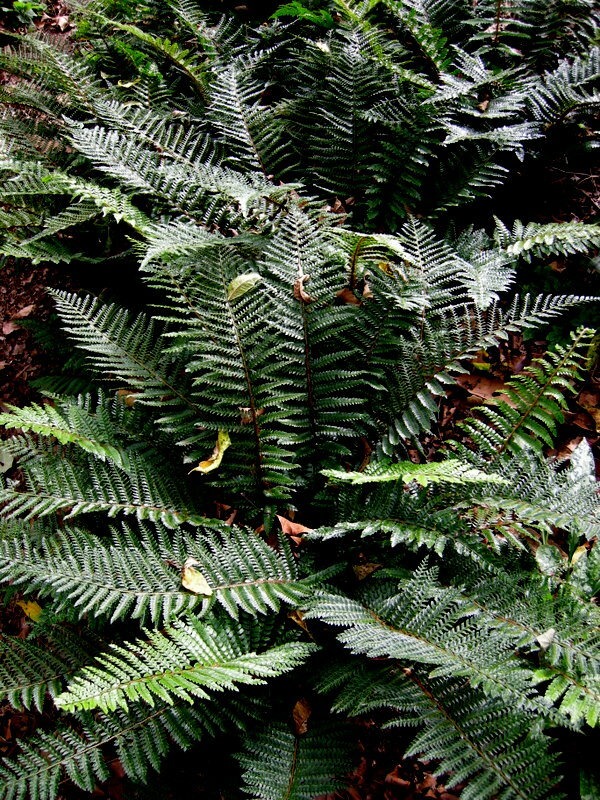 Their leaves are 3 to 6″ long and shaped like an angel’s wing with green on top and red highlights underneath. 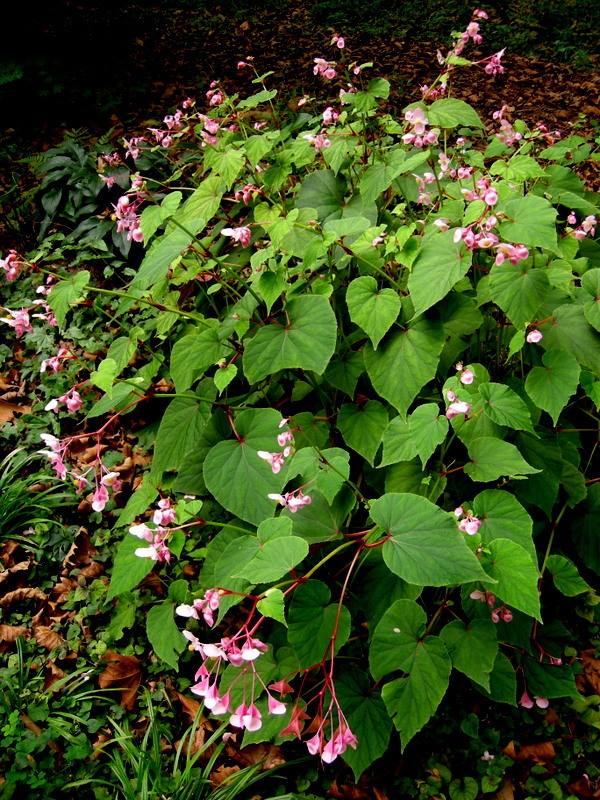 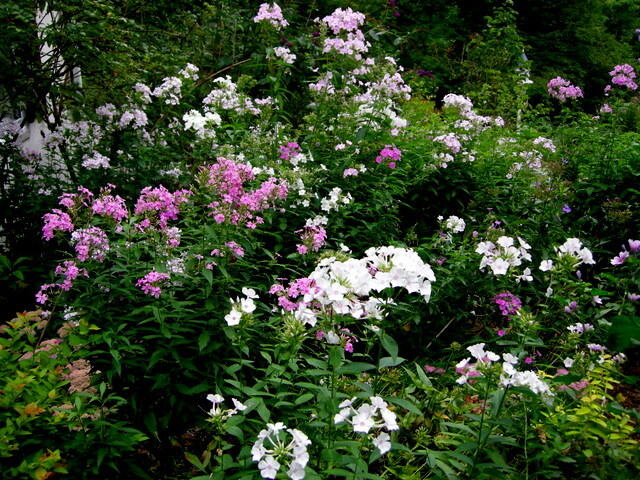 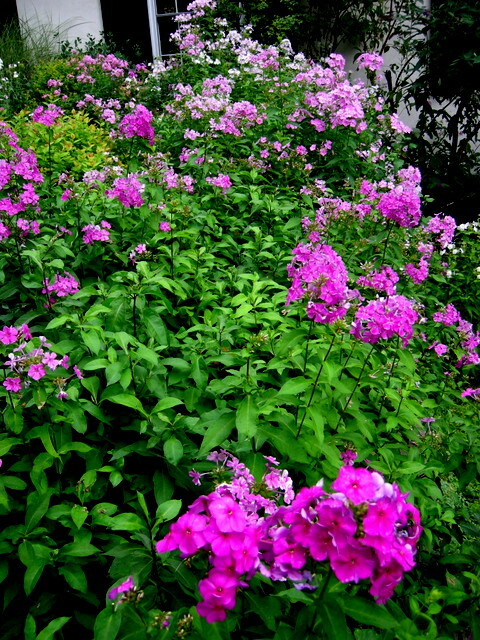 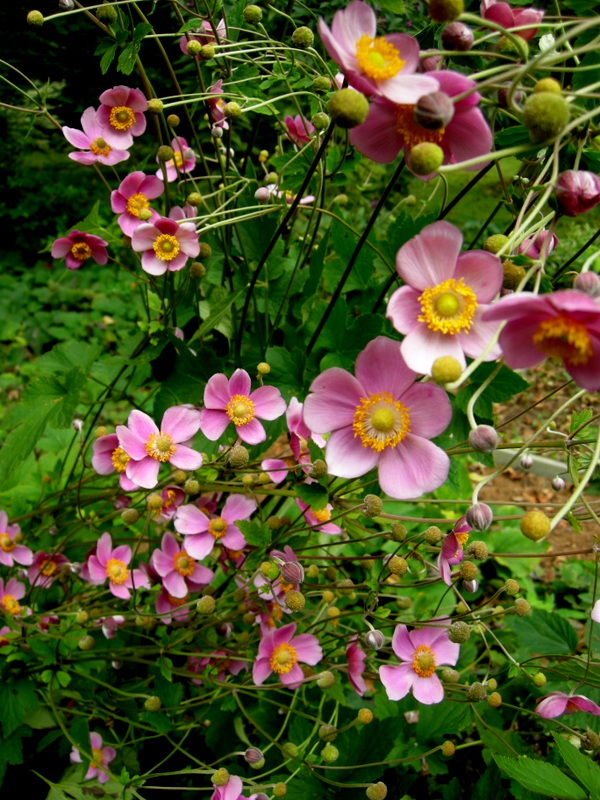 The flowers are pale pink and clustered in loose bunches with deep pink stalks. 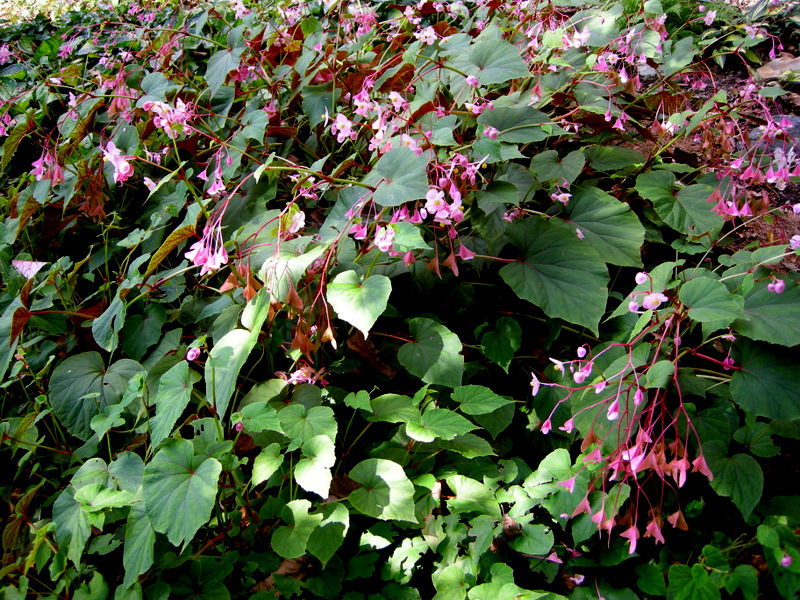 They bloom from September into November depending on when we get a frost. 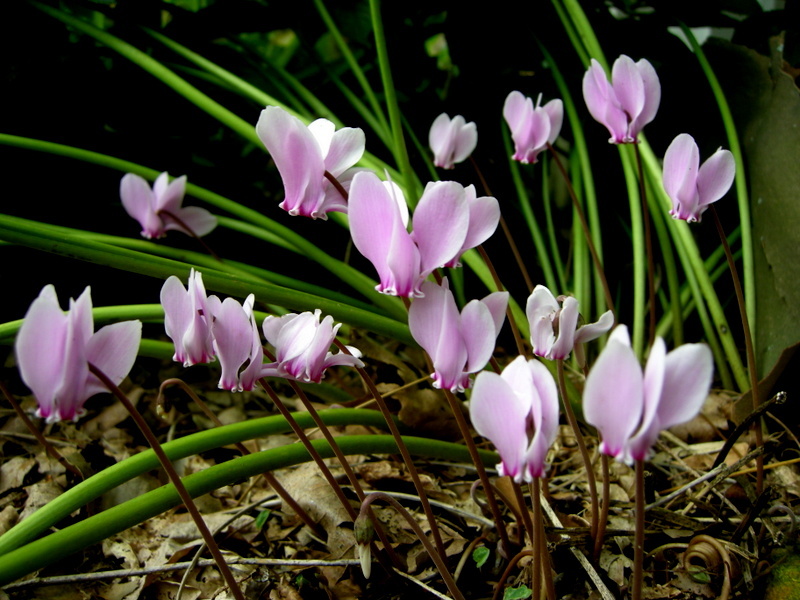 The ovary, which persists when the flowers drop, is bright pink, three-winged, and very attractive. 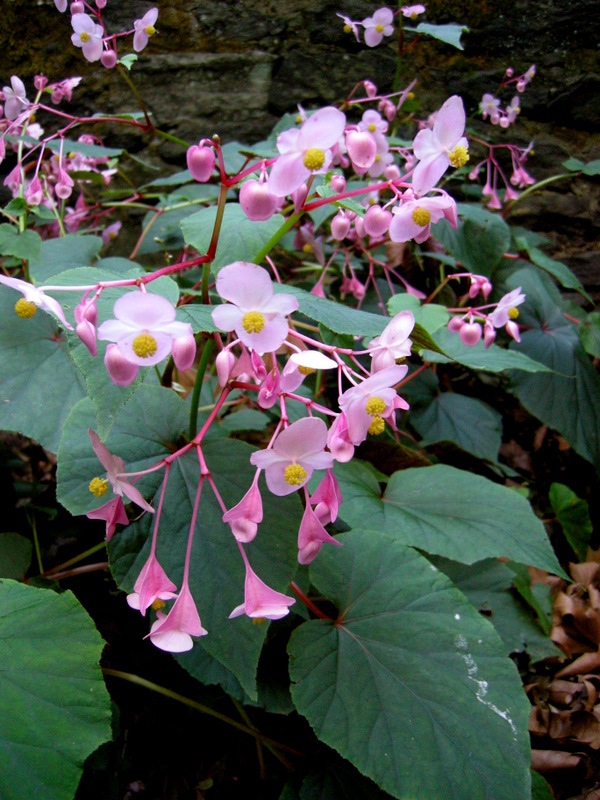 Hardy begonia is native to China and Japan. 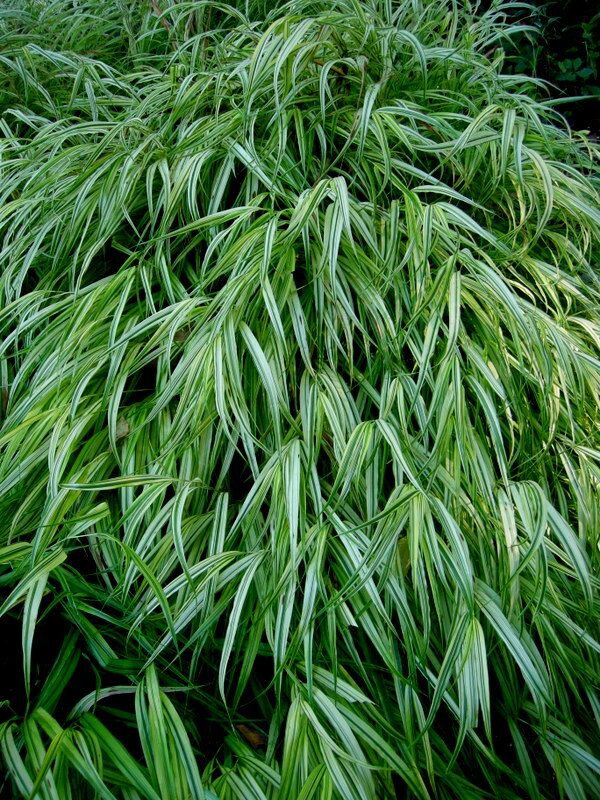 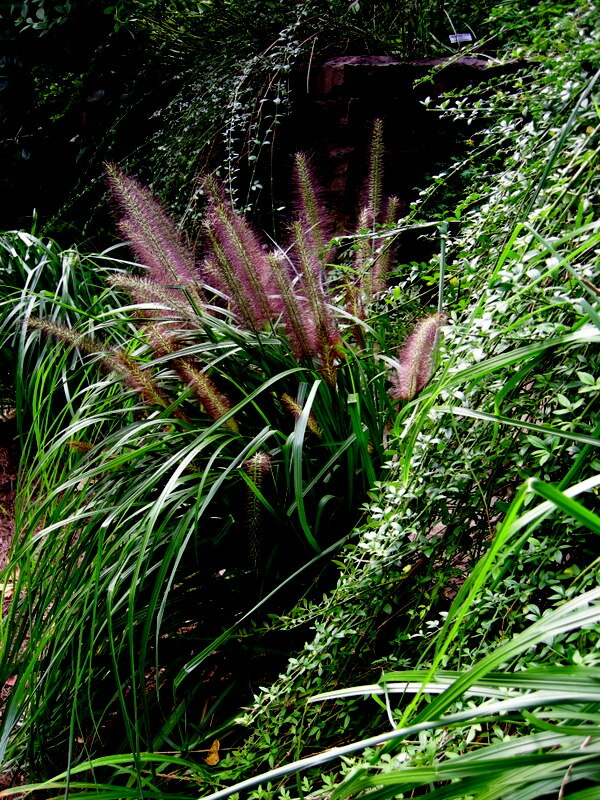 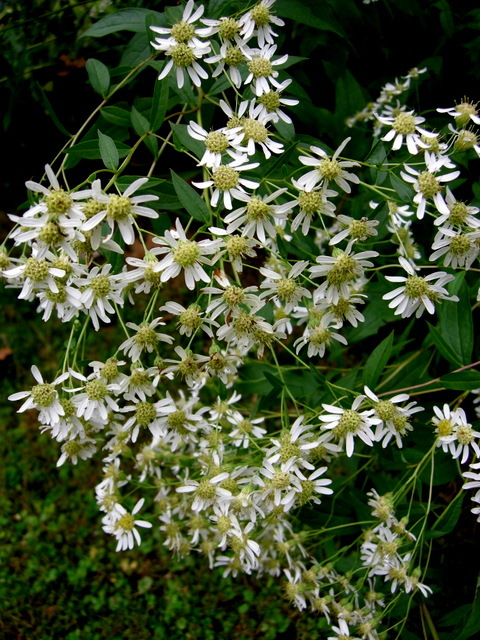 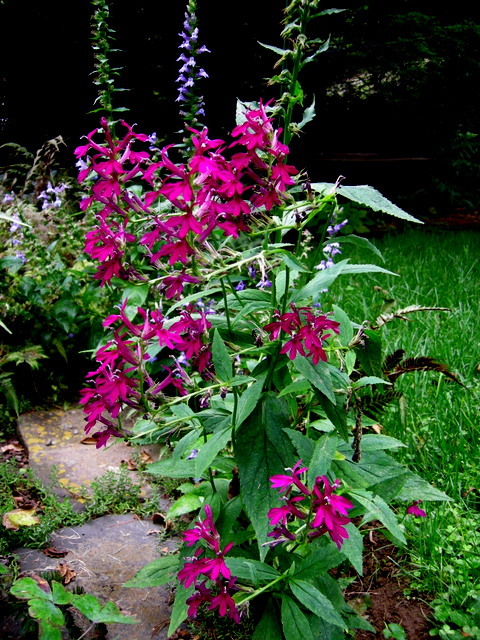 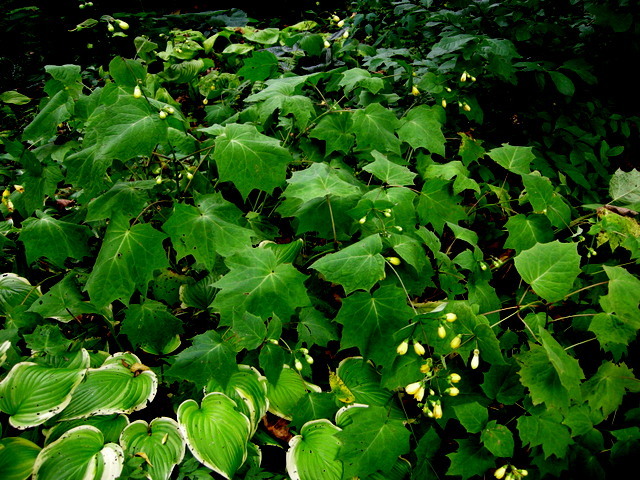 It is an upright plant growing to 2 to 3 feet in part to full shade. 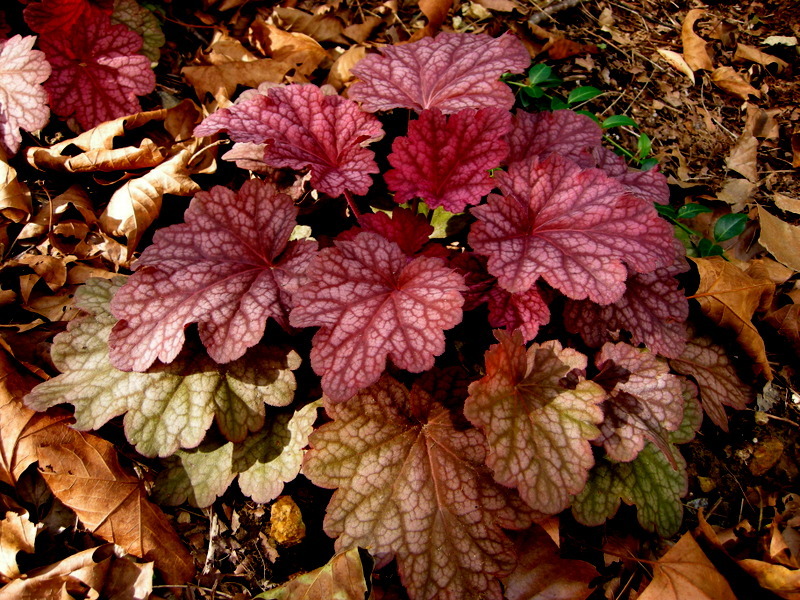 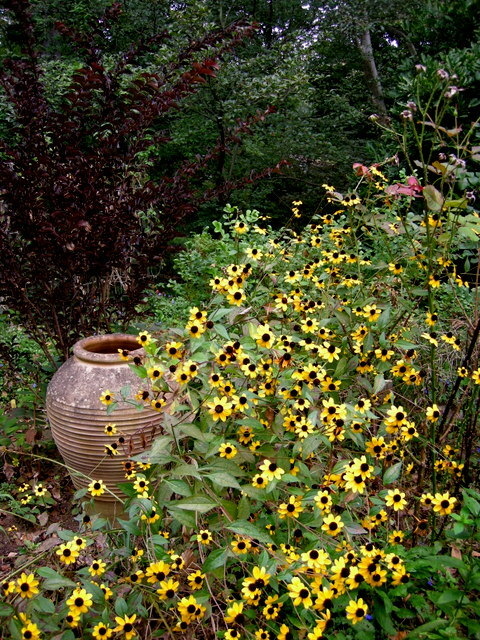 Ideally it likes organic, moist soil, but my experience is that it grows anywhere in the shade. 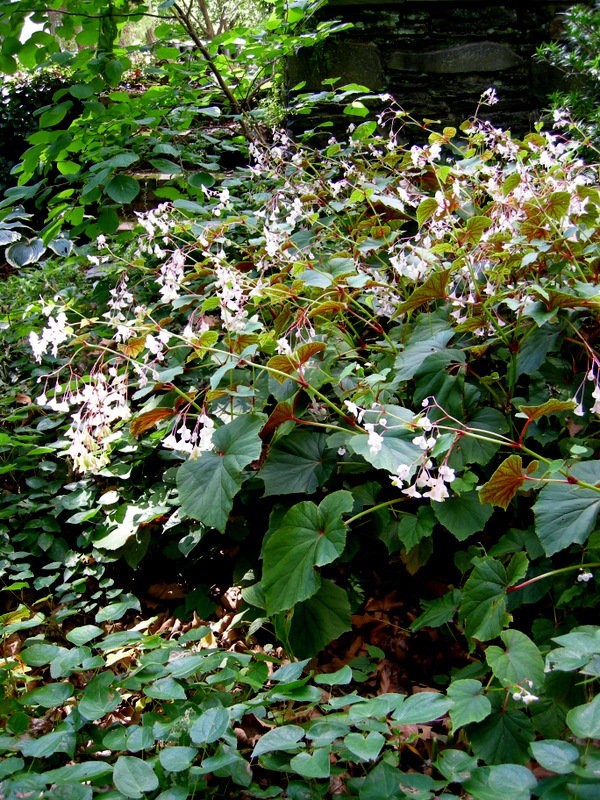 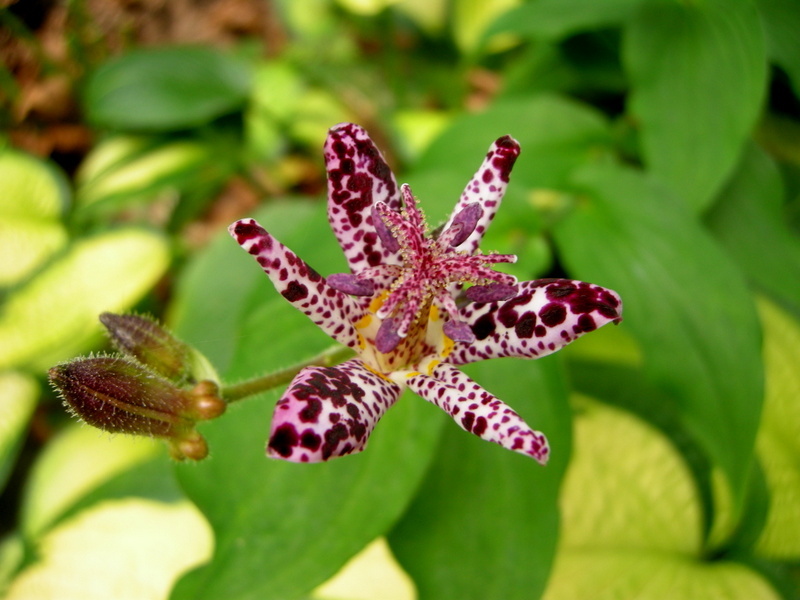 It spreads all over the place at Carolyn’s Shade Gardens and is easily removed by yanking on the stem. 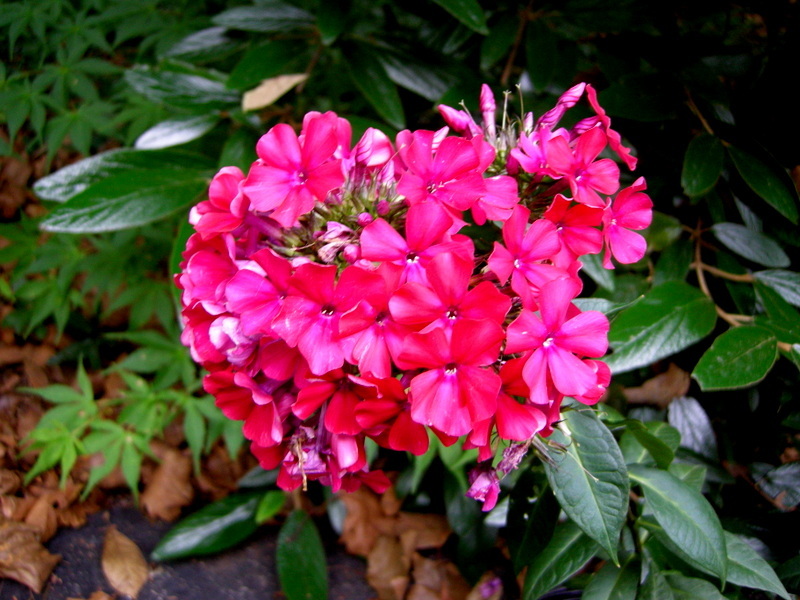 However, I rarely find it in a place I don’t want it. 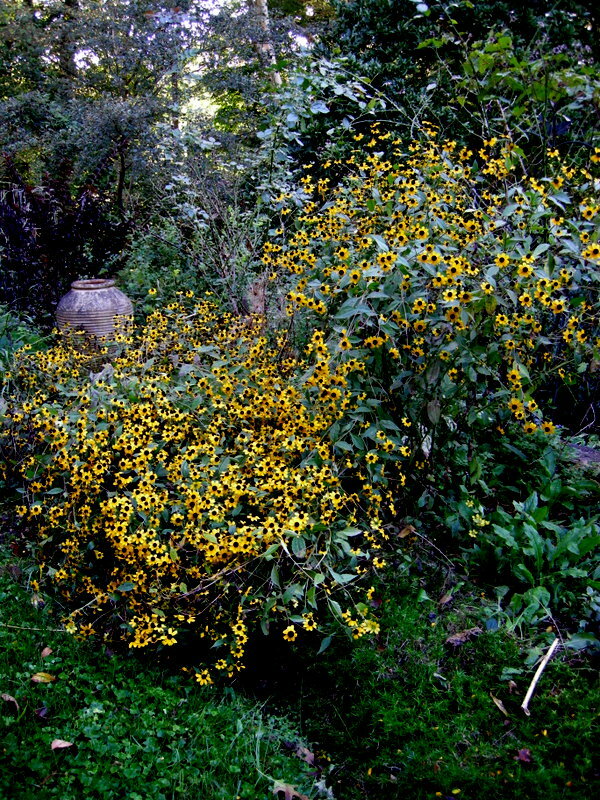 It has even formed a very nice stand in my compost pit. 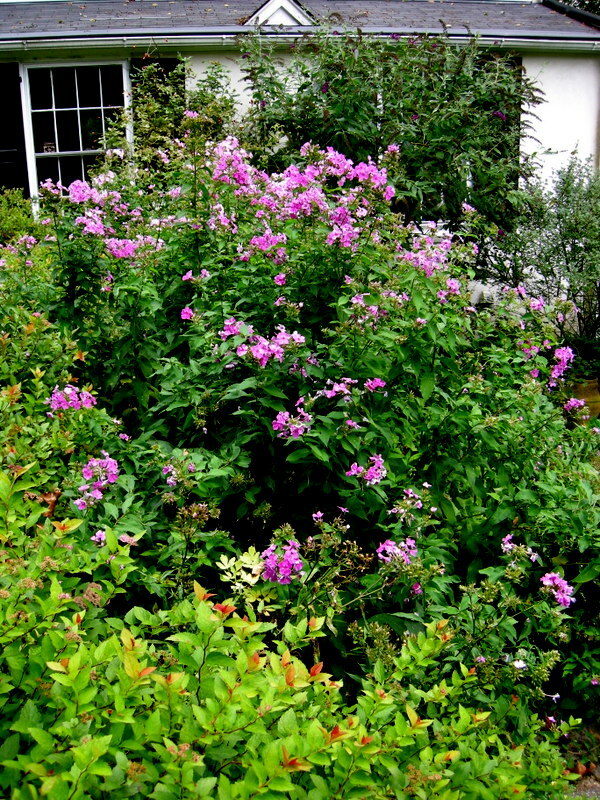 The only trick to growing it is that it comes up very late—mid-May in the mid-Atlantic—so you need to remember where it is. 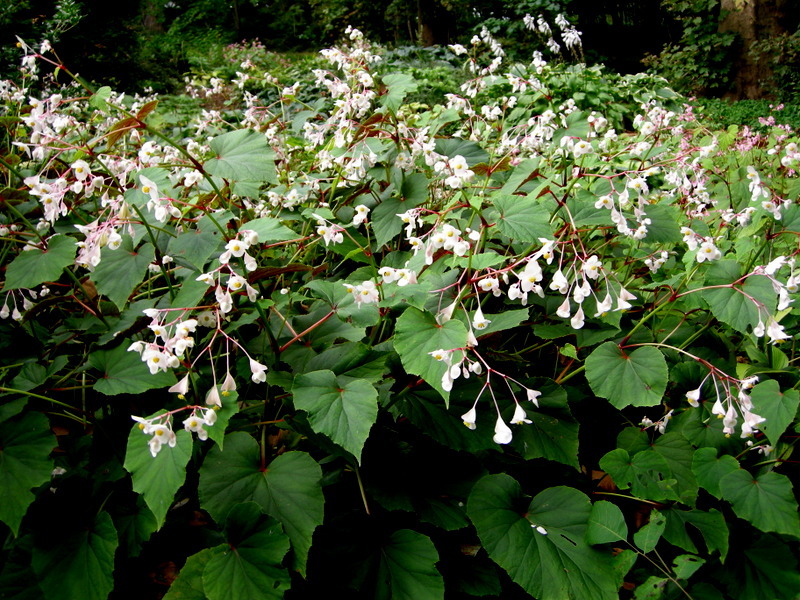 There is a lovely white cultivar of hardy begonia called ‘Alba’. 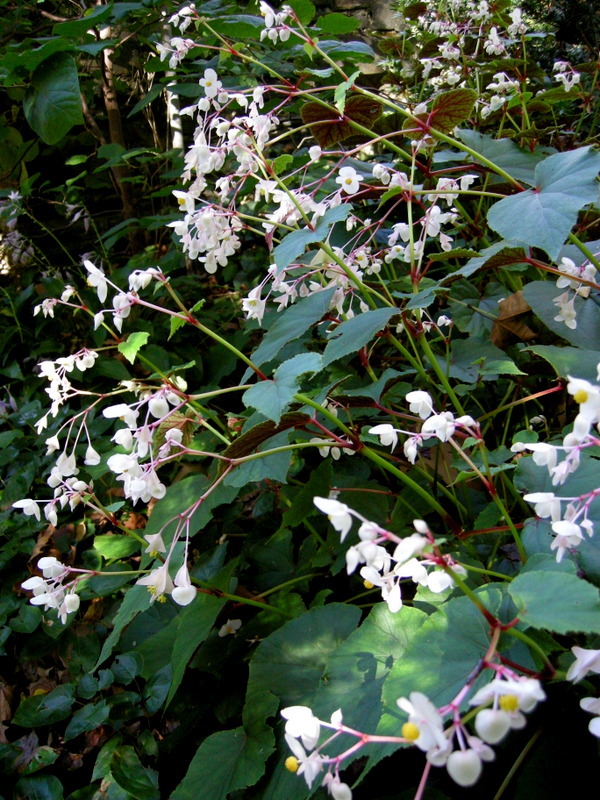 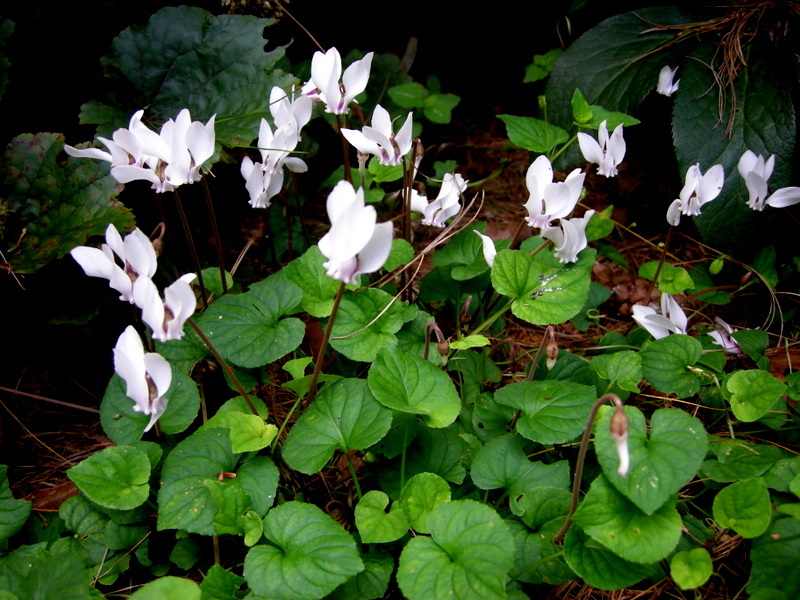 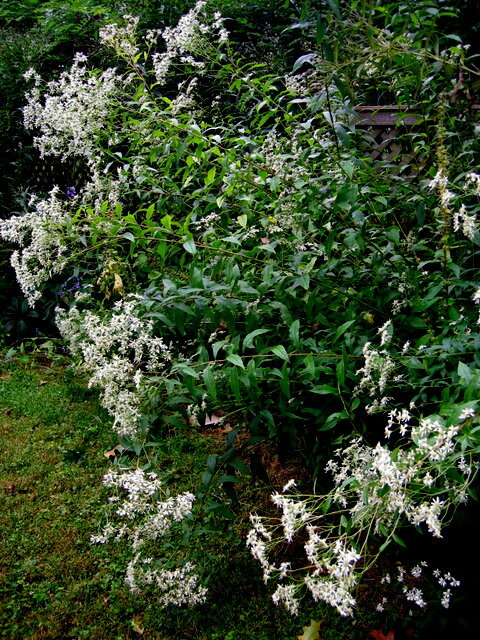 It has pure white flowers with pale pink stalks. 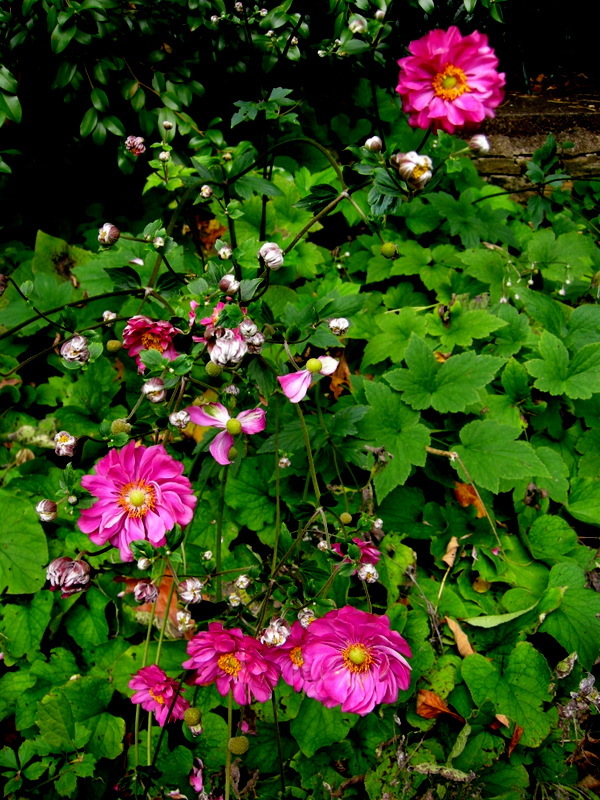 It is just as hardy as the parent species and seeds around my garden readily. 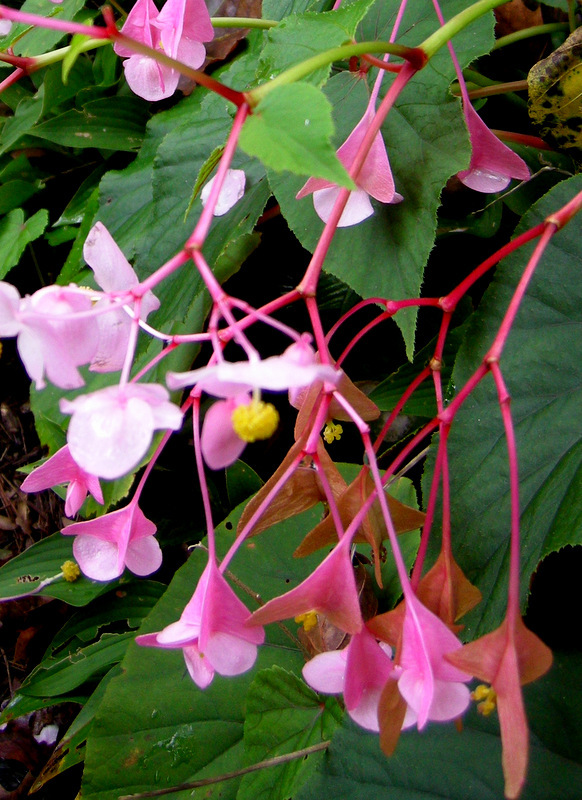 Hardy begonia looks great everywhere in my garden. 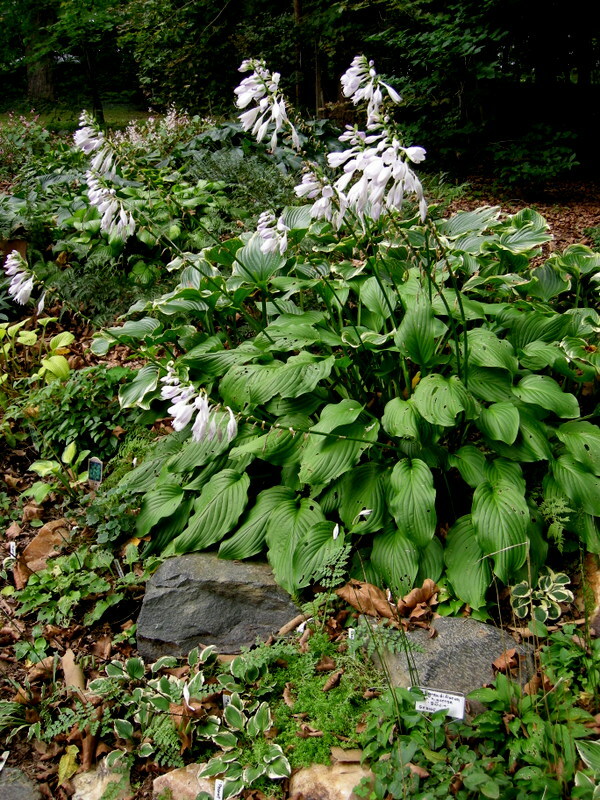 However, I prize it for growing between all my hostas on my back hill. 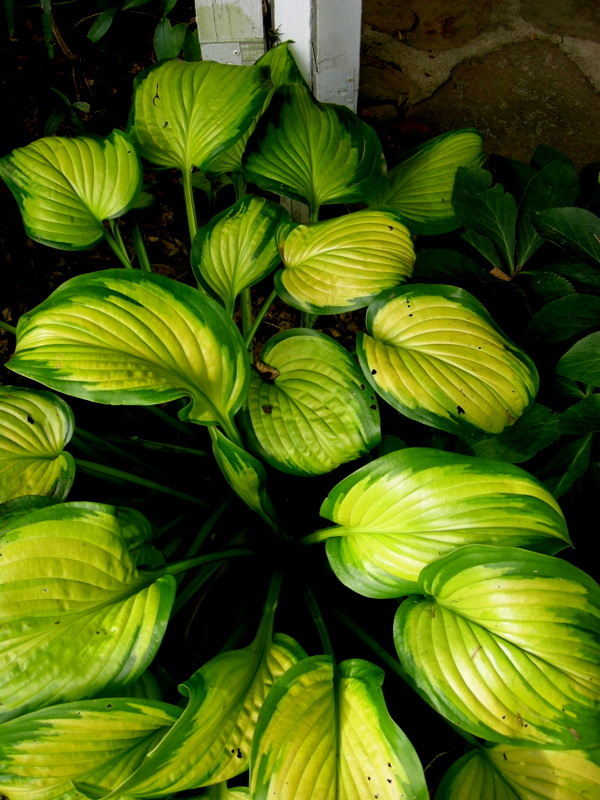 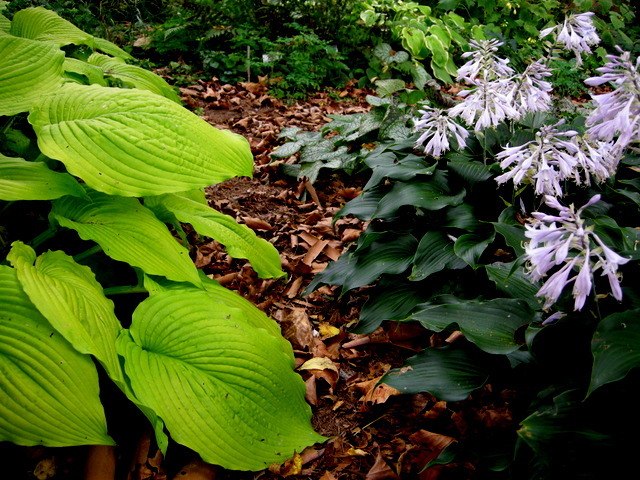 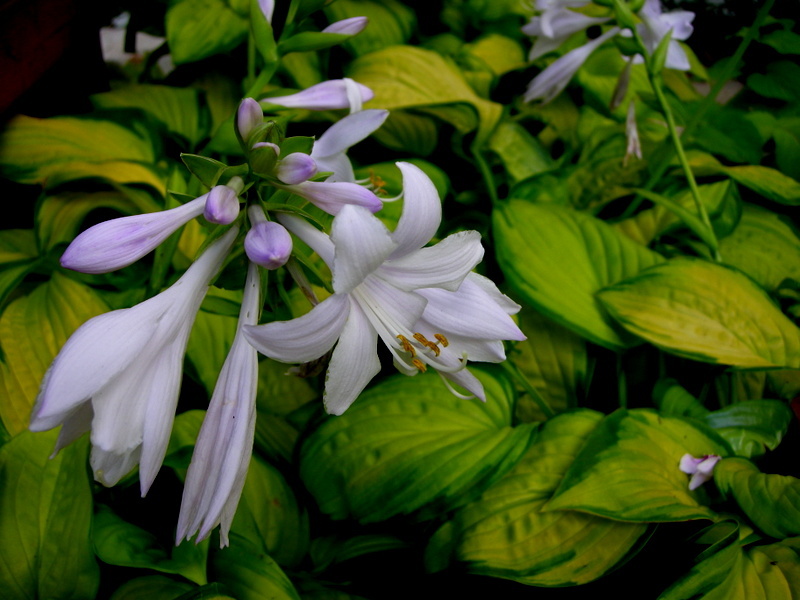 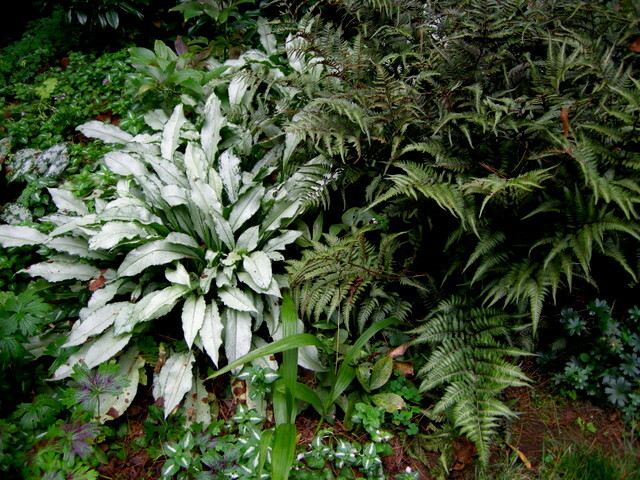 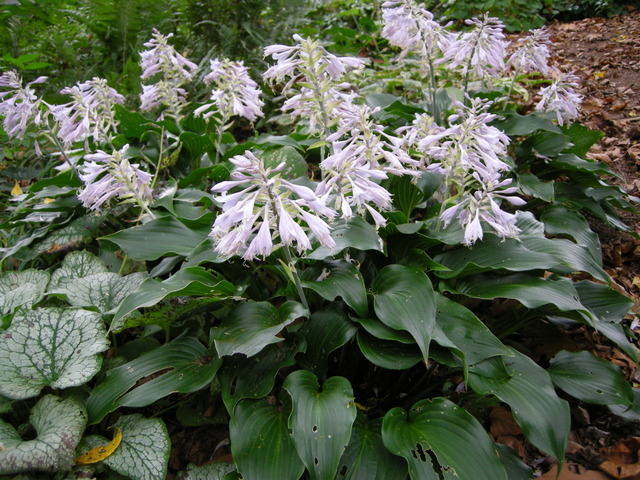 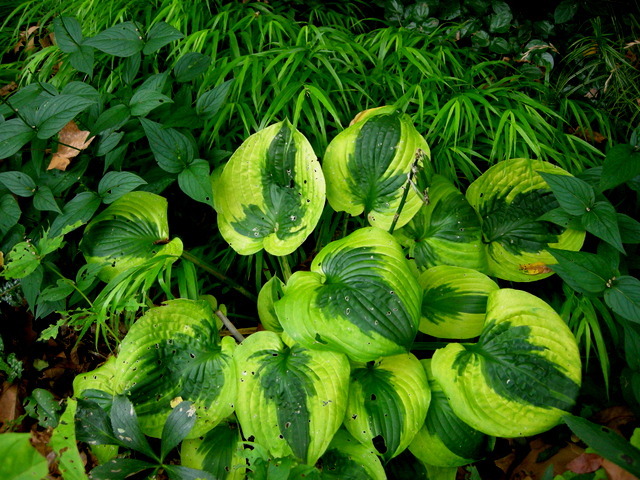 When the hostas look ratty, it springs up looking fresh and elegant and blooms its heart out. 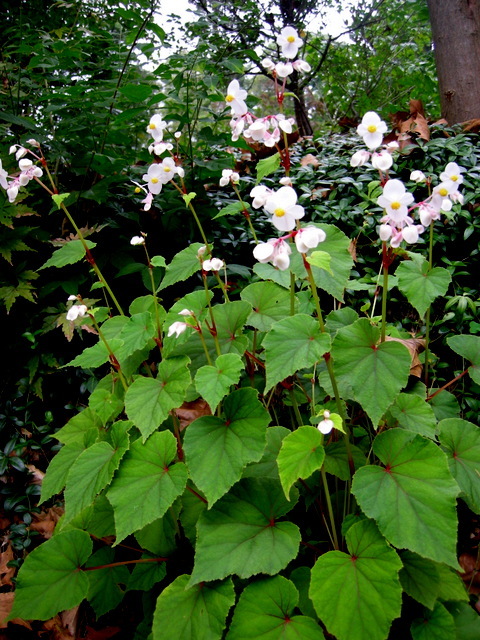 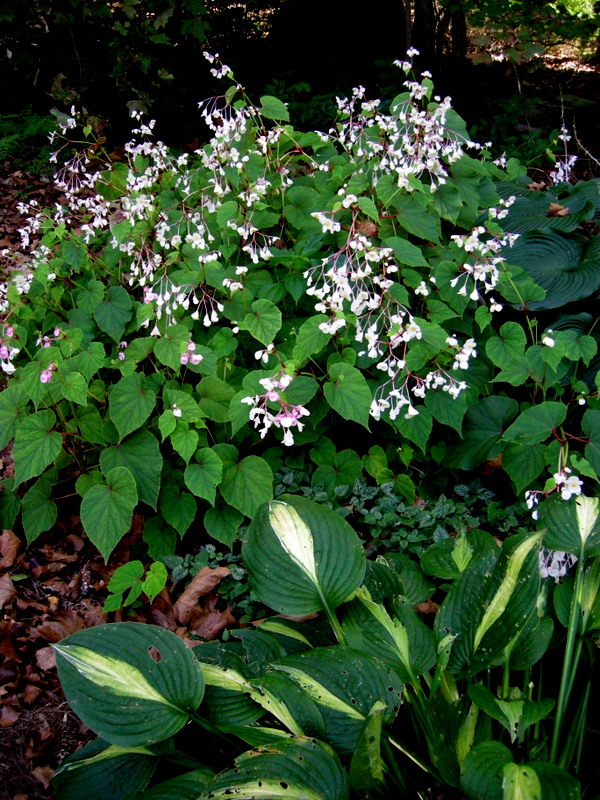 White hardy begonia growing between hostas. 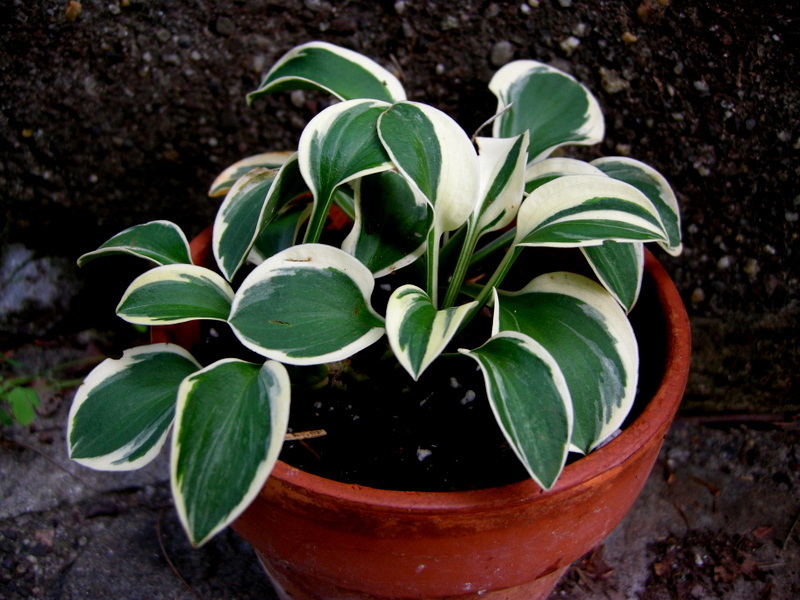 Before I start an avalanche of emails asking for this plant, I am sold out for the year at the nursery. 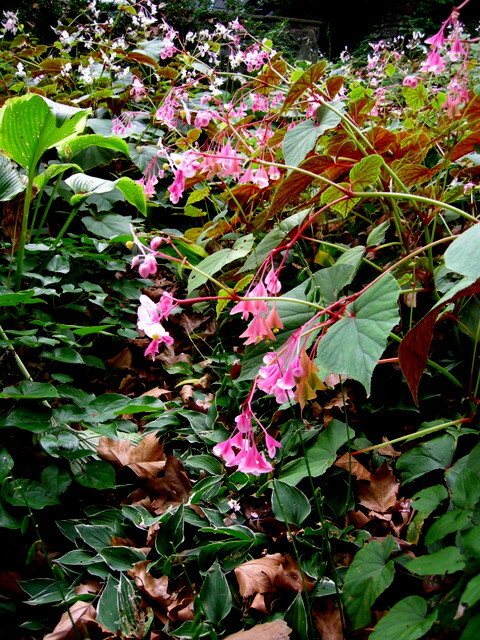 However, I always have it available in the spring so look for it in 2013.